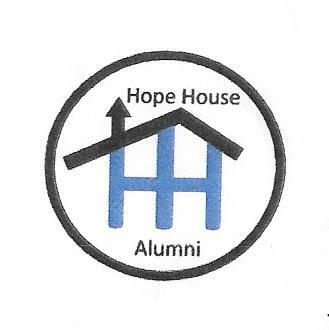 The Hope House/Meadows Alumni association began in the fall of 1996. It was formed by a group of former clients from the "Meadows", a treatment facility in Gambrills, MD. When the Meadows closed in the summer of 1996 this group needed a new place to meet and they joined forces with Hope House in Crownsville, MD. Since the fall of 1996 this group has been giving back to new clients something that was given to them in their early sobriety. The mission of the Alumni Association is to show addicts that recovery from alcoholism and drug addiction is possible. Members of the alumni lead by example showing that there is fun in sobriety and act as a support network for new clients. We provide clients the opportunity to meet new people, make new friends, gain support contacts and become comfortable with new faces and a new way of life. We hope to bridge the gap and give the clients a chance to learn about the philosophies of a 12-step program, showing that they do not have to be alone in the process to becoming clean and sober. Our vision is to help the new client adapt to a new environment, and to encourage chance and personal growth. We provide activities for Hope House clients that will encourage participation in weekly activities that will help form the foundation of a new life. Ultimately, our vision is to encourage clients to return and become involved with the Alumni Association. The alumni group hosts the Sunday night Alumni meeting, Friday night 12-step meeting, Thursday night Open Rap, Saturday morning Men and Women's Rap and Bingo every other Saturday. We also plan and facilitate holiday parties as well as an annual picnic and crab feast. Those of us who are active believe in service and do encourage clients to become involved. Family members of clients are also welcome to become active members supporting their loved ones and Hope House. We meet the first Tuesday of every month at 7 pm in the staff lounge of Hope House. We look forward to your joining and becoming active in a worthy cause.